Growers' have been asking for years for a larger mat for their benches and germination chambers. We are now happy to offer these new wider heat mats made from the same quality material as our standard 11" Agritape heat mats. 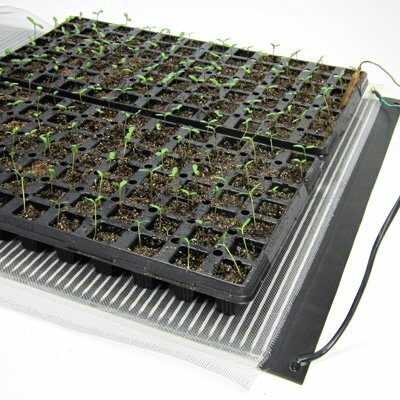 Each mat comes with a ground screen and should be used with our Medium AT-JR or High Capacity AT-1 Controllers with ground wires (items 40008-900 and 40009-900). Mats draw 40 watts per foot on the 22" wide mats and 80 watts per foot on the 44" wide mats. Agritape Heat Mats distribute heat evenly over the entire mat surface, eliminating the cool spots typical of wire coil mats. General Hydroponics 714201 Cocotek Coco Mat, 4' x 4' x 1"